Whenever we travel, we try to take the kids to a playground. 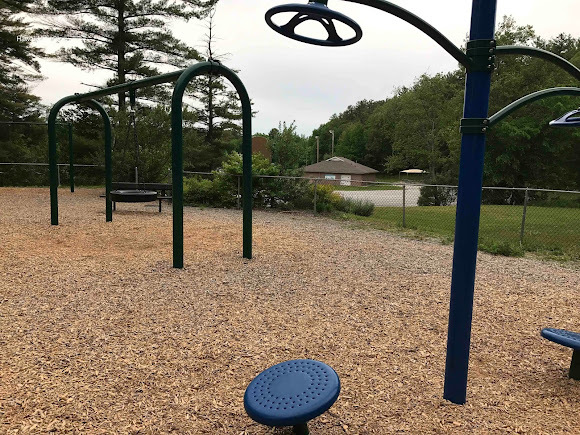 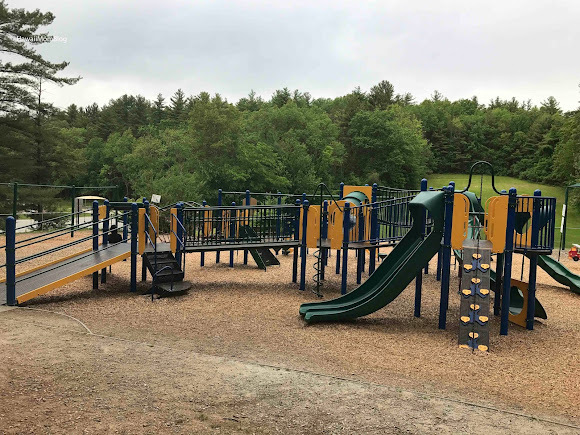 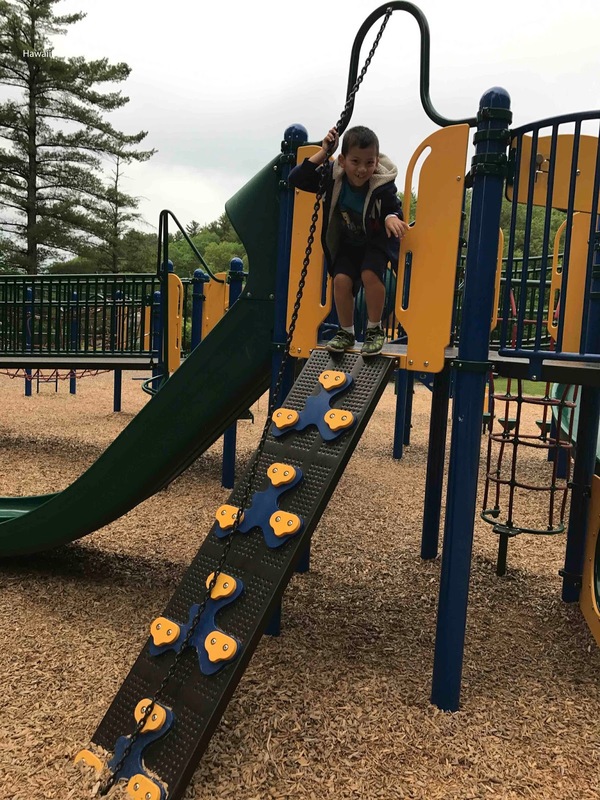 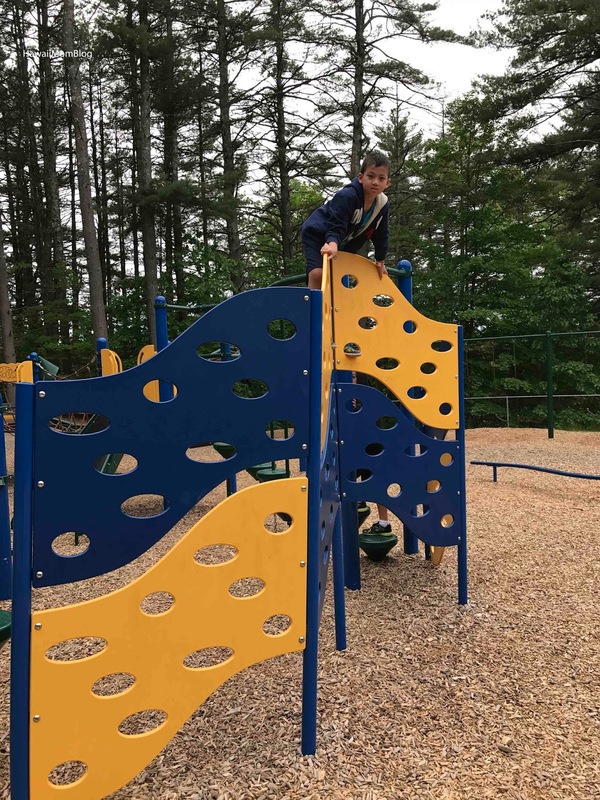 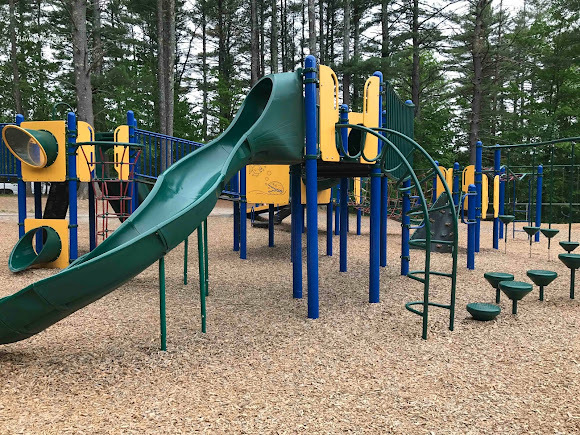 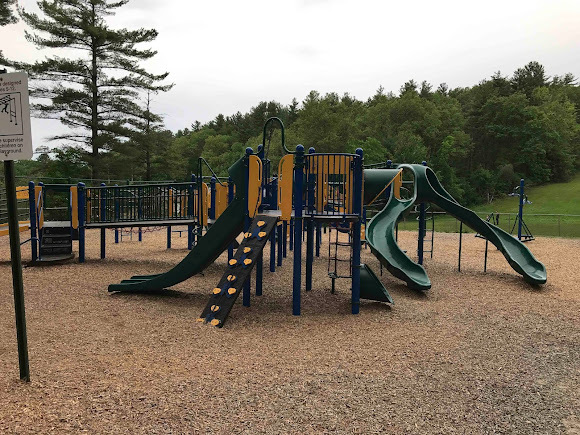 During our 7-state road trip over the summer, we only had time for two playgrounds, one of which was the Ann DeNicola Memorial Playground in New Hampshire. The kids were very eager to go - and it's no surprise, since being in a car for hours at a time will make anyone restless! 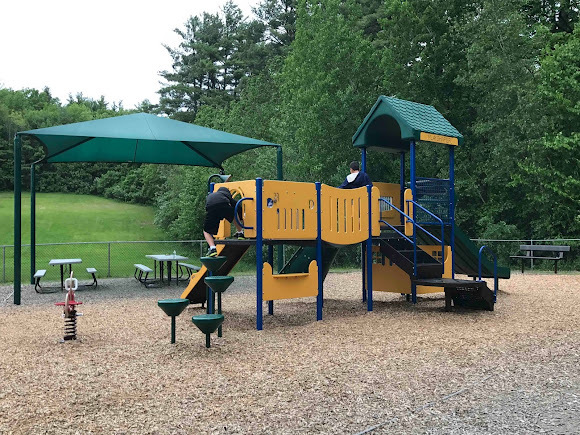 The Ann DeNicola Memorial Playground is a really nice playground with adequate shade and seating for the adults. 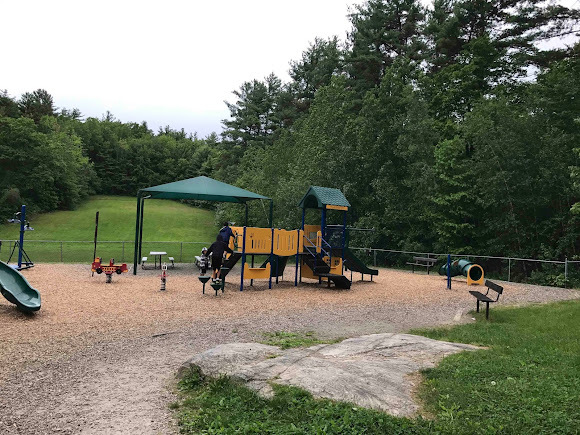 Unfortunately, the rain started coming, so we didn't get to stay very long. 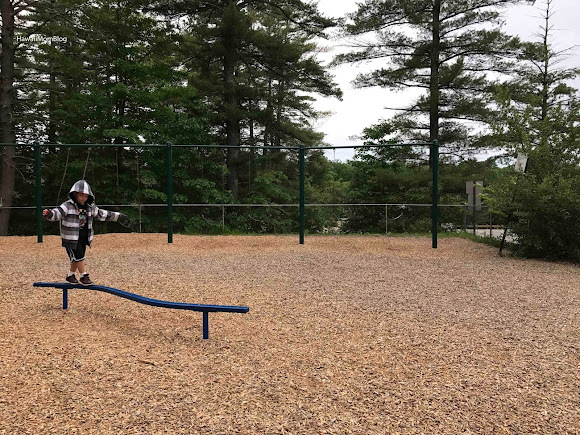 The boys did have a lot of fun while we were there though. 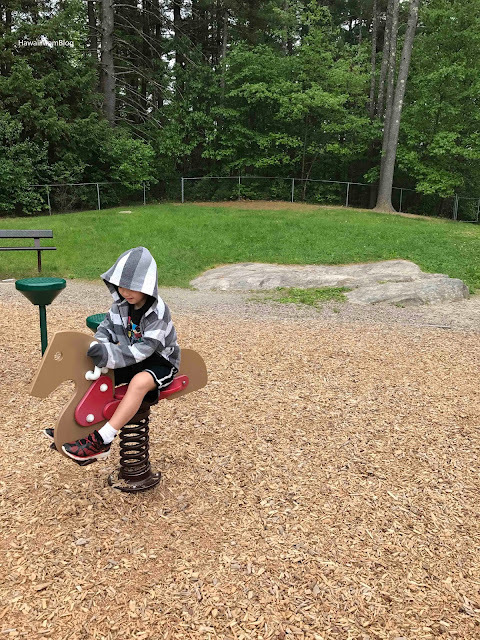 Just remember to bring insect repellent - there are lots of biting insects out there!